Join Us for Career Day on Wednesday, April 13th from 9:00-11:00 a.m.
Meet professionals in different fields and explore different ways you can use your education outside of the classroom! Parents, Guardians, Teachers, and Staff are getting together to plan for our new Family Association. Please join us on March 23rd from 5:30 to 6:30 pm. Food and childcare will be provided. 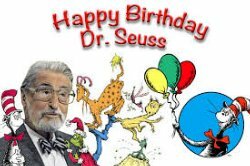 Join the PreK classrooms as they celebrate Dr. Seuss's 111th birthday for Read Across America. Wednesday, March 2, 2016 from 7:30am - 8:30am. Each family who attends will receive a book to take home. Are you an 8th grade scholar looking for a High School placement for next year? If so, please review the application materials attached. Perry Street Prep Partnership with Apple Tree!